The Laksh Foundation focuses on creating a sustainable route out of poverty through education and offers free extra-curricular tuition and supervision to over 1000 children aged between 3-18 across five villages in the Faridabad district. Our student volunteers helped to educate and inspire the children of these communities, many of whom do not regularly attend school and also worked to develop the knowledge and skills of the local teachers employed by the organisation. They focused on their spoken and written English, enhancing their mathematical knowledge and as well as teaching an array of other topics including economics, geography and sciences. As well as making a difference in the local community, the programme also provides the student volunteers with an exciting and meaningful experience. Participating in the Laksh programme has undoubtedly the most formative experience I have had at university. I have gained a plethora of knowledge and experience, as well as developing a broad range of transferable skills, from improved communication abilities to enhanced intercultural awareness and sensitivity... However, practical experience and a first aid qualification are only a small part of what I have obtained through the programme. In addition to strengthening my employability, I feel that participating in the programme has made me a better person: someone who is more thoughtful, appreciative and determined to make a difference. Laksh - the programme and the people - have restored my faith in humanity, in a world where it is so easy to lose it, and I have been so inspired by every individual I have met along the way...Laksh has been truly been an eye-opening experience and one which has confirmed to me that I am capable of making a positive difference in the world. 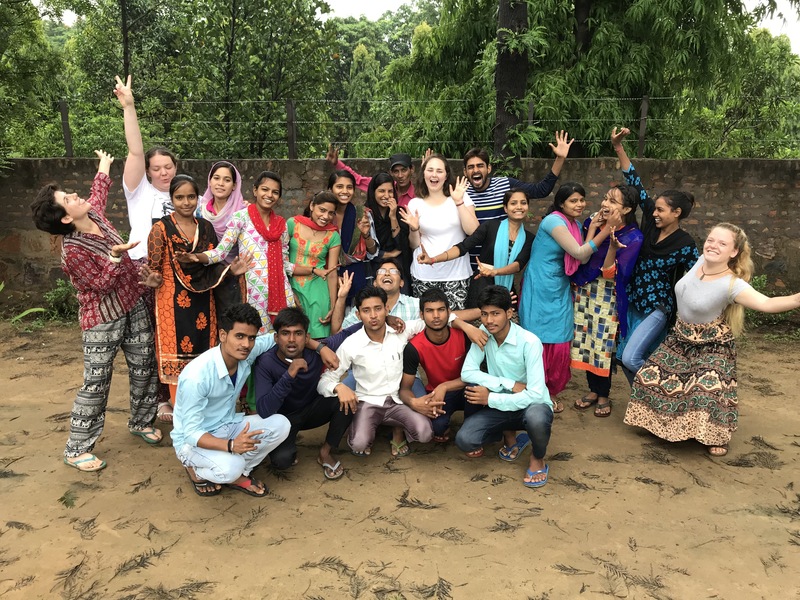 This programme offers you an unbelievable opportunity to widen your eyes to the more disadvantaged areas of the world whilst making significant change. The sustainable nature of the programme in teaching the teachers helps to make the changes ever-lasting, not just occurring during your presence! The feeling of satisfaction when you witness first hand the improvements in the quality of teaching across the different centres, which reach 1000 local children, is something you will never forget." I feel I have gained so much more confidence in myself, and have developed a real passion for teaching and the possibilities of education in bringing change to communities. I was so inspired by all the work that goes into the project, and the work that the teachers do themselves to help their own communities, and I really believe in the positive impact that this is having. I definitely feel honoured to be part of the Warwick-Laksh community." Thank you to everyone who has supported the Warwick Laksh programme. Would you like to donate to the programme too? You can use our secure online donation form today. Recruitment will open for next summers placements is now open! If you are a Warwick student, then why not get involved? By being a part of the Warwick Laksh Programme, you will get a unique chance to made a real difference to the lives of underprivileged children in rural India and benefit from an exciting and meaningful global experience which will benefit your future. Visit the 2018 Laksh Volunteer's blog or check out their Instagram account to read more stories!